The runes are a pan-European magical language. Its roots lie in the ancient pagan beliefs of our ancestors, who built many thousands of stones circles, long barrows and dolmens throughout ancient Europe. 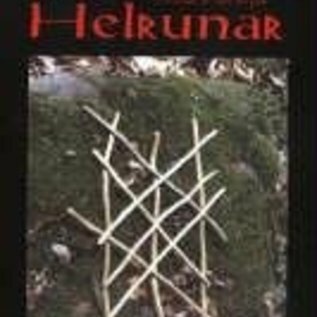 These same symbols and techniques were used by the pagan Celts and Germans. This book is a complete manual of magick based upon arcane symbolism and secret techniques. Contents: Meaning /Urda /Origins /Futhorc /Magical inscriptions / Memorial stones /Fascism / Titles / Cosmology / Nature / Qabala / Vision / Werdandi / Rune stance / Breathing/ Vowel song / Problems / Tune in / Health? / Divination / Alignments / Sigil sorcery / Seiðr and Seething / Energy /lda / Rune companion / Sources Jan Fries lives in Frankfurt near the Taunus Mountains. He is a musician, artist and magician. '...eminently practical and certainly breaks new ground.' - Ronald Hutton (author Pagan Religions of the Ancient British Isles) Recommended by The Cauldron 'a very meaty read...' PJ in Gippeswic Preface to the new edition When I went to school, my history teacher told us about the old Germani. In her opinion, the Taunus mountains were populated by a bunch of brawny brawlers who wore horned helmets and small pieces of pelt. They lived in hilltop settlements which were fortified by ringwalls. Barely able to manage agriculture, they had to rely on hunting to fill their stomachs. They lived in shabby huts with mud-plastered walls and when the Romans came, they fought the invaders with crude swords, pointy sticks and by hurling rocks at them... Nowadays, the ringwalls of the Taunus are known as the work of La Tène Celts, who lived on the heights in well organised cities. For this new edition much of the text has been rewritten and updated. A large section on the bronze ages, the Celts, Germani and the later Vikings added. The theme of Wodan and Helja has been elaborated with more detail on pagan Scandinavia. The chapter on magical rune inscriptions has been extended, on Seiðr/seething trances rewritten, the bibliography updated and twelve pages of new illustrations added.